Monnit's wireless development platform is a comprehensive set of tools allowing for rapid design, prototyping and deployment of wireless solutions using Monnit's innovative hardware platform. "The price is great! 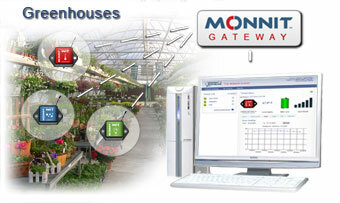 When I began looking into wireless sensor technology for our greenhouses, Monnit was priced well below the competition!" 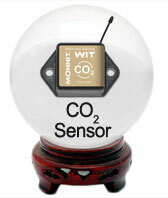 If we look carefully into our crystal ball we can see a new addition to the Monnit line of wireless sensors. The Monnit team has been hard at work developing new sensors, and we are proud to say that a CO2 Sensor is in development right now. This sensor measures the amount of carbon dioxide in the air and can be programmed to alert you if levels fall above or below a specified amount. This sensor will be perfect for use in greenhouse, environmental and food refrigeration applications. 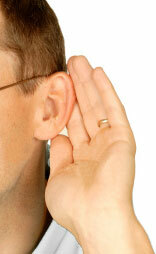 Keep your eye on the horizon and this sensor will be here before you know it. Monnit provides a great wireless sensor product to aid in the process or placing wireless sensors around your building(s). The Monnit Wireless Placement Sensor allows you to test the transmission signal from your desired sensor location before permanently affixing a wireless sensor at that location. The placement sensor includes an LED indication system allowing the user to understand the signal quality of a sensors location before mounting. Put the placement sensor in the exact location where the other sensor will be mounted, then press the button. The light should blink green if the sensor has transmitted successfully. If the light flashes red, press the button again to double check the location. If the light blinks red again, you will need to find a different location for the sensor you wish to place. For a better understanding of the signal quality, log into the MonnitSphere online system or Monnit Express Software on your computer to see the visual display of signal strength. Here is another handy trick. 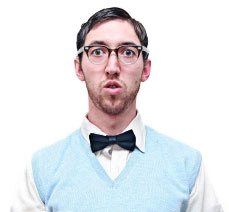 Log into the MonnitSphere online system from any web enabled smart phone, so you can check the signal quality without having to return to the gateway host computer. The MonnitSphere software allows you to use your wireless placement sensor as a button when you no longer need it to place wireless sensors on your system. Use the button at your front desk or any other area of your facility as a service call or notification button. 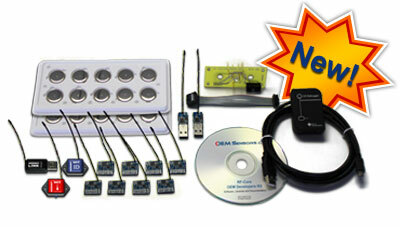 Interested in LabVIEW Instrument Drivers for Monnit Wireless Sensors?